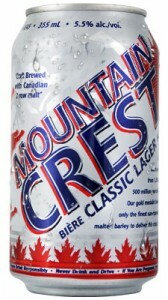 Mountain Crest is a classic Canadian-style lager. It is a full bodied beer that pours golden yellow with a medium head. At first taste you will note a slight grain and malty aroma effervesces from the nose. It has a pleasant malt and bitter balance with a very a clean crisp finish. 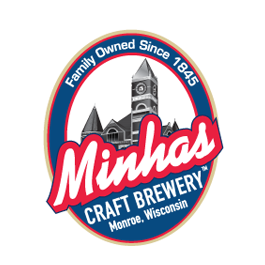 This is a refreshing lager beer that pairs well with sharp aged cheddar or smoked Gouda, thick cut steaks, and well seasoned or sauteed vegetables and tomato based pasta dishes. Mountain Crest Lager is available in many US states as well as AB, Canada. Also sold as Minhas Creek in SK and MB, Canada.